I’ve been receiving fan letters lately not only thanking me for writing IF YOU FIND ME, but for highlighting America’s wild horses and burros — people who had no idea the issue of wild equine capture and slaughter existed. Those signing the petitions I share on Facebook alongside me, *thank you*. I’ve always believed we should use our voices for the greater good — for the voiceless, whether human or animal. I love being an author, and I love how my authordom gives me a voice off the page and a chance to share worthy causes. So … THANK YOU for reading, for writing me, and for using your voice to make the world a brighter place. 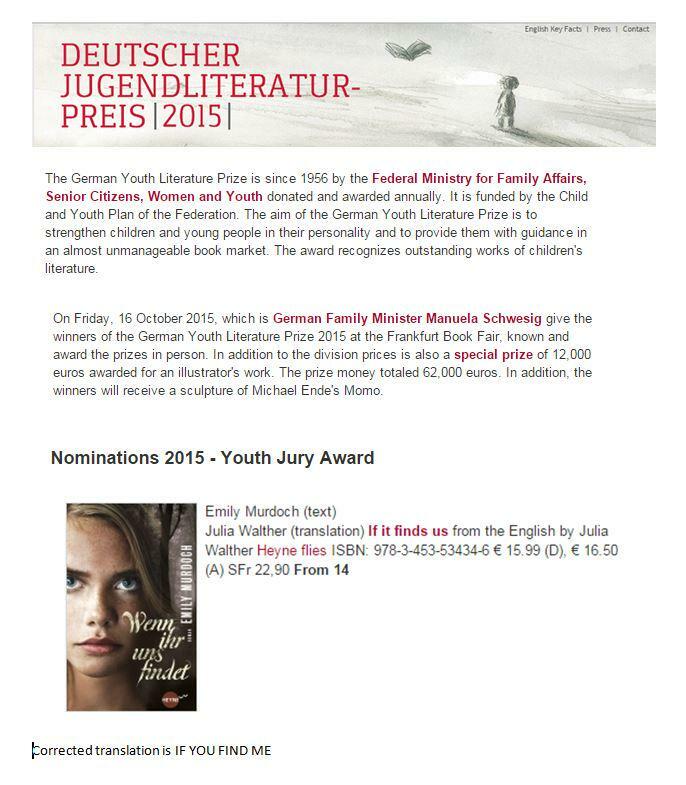 IF YOU FIND ME nominated for the 2015 German Children’s Literature Award. 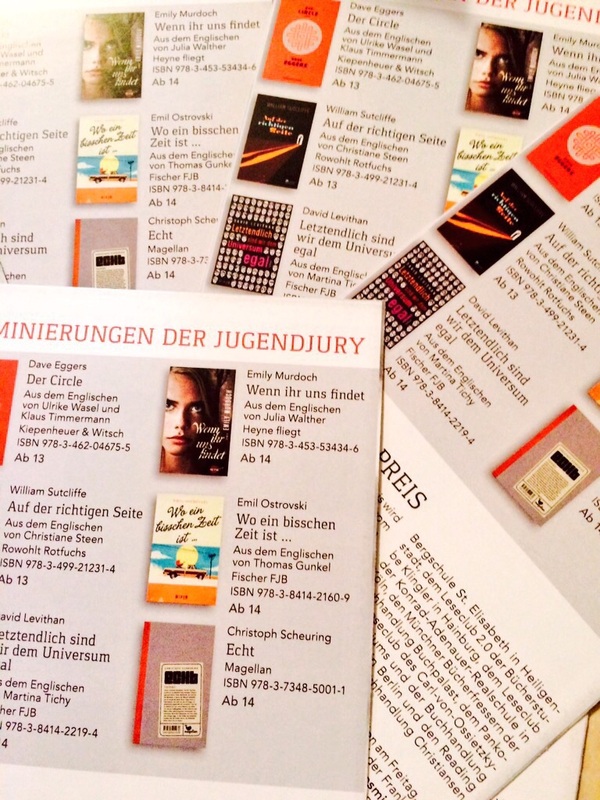 So honored to announce that IF YOU FIND ME, or as it’s titled in Germany, IF YOU FIND US, is one of six books nominated for the 2015 German Children’s Literature Award by the independent young adult jury. 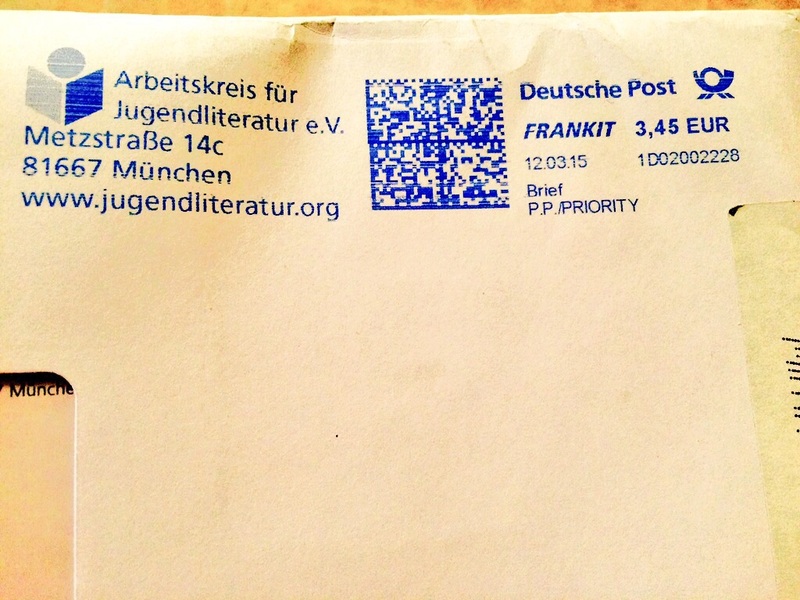 Results will be announced in October, at the Frankfurt Book Fair. So excited and so grateful! 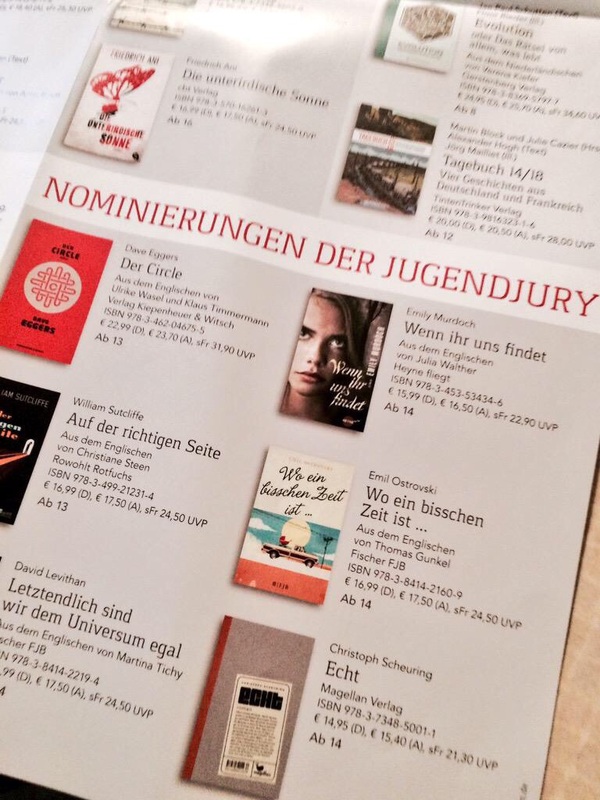 A huge thanks to the jury and to my German young adult readers. As the only female nominee in this category, I’m also proud to represent female writers of young adult fiction.